I'm coming to harass you on the live blog. Lucky boy. 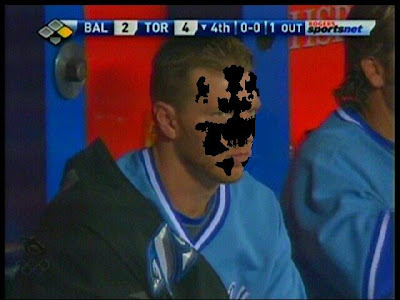 Halladay as Rorschach - brilliant! I liveblogged a spring training start in which Halladay worked on his change exclusively. He got rocked but I know it's out there. JobaJay wins because of Photoshop prowess. My paint skills can't compete.